University of New South Wales is offering Future of Change Scholarship. It has called on Indian students to undertake UG and PG study in the campus. The University of New South Wales (UNSW), an Australian public research university located in Sydney is offering ‘Future of Change Scholarship’ and has called out to entire Indian student cadre to undertake under- graduation and post- graduation study in the campus. • Candidate has to be an Indian resident, residing in India prior to commencing study at UNSW and not a permanent resident of Australia. • Candidate should receive an offer of place in the University programme. • As mentioned in the UNSW admission application, the candidate must achieve minimum academic results. • A tuition fee waiver scholarship offer, value of $10,000 p.a., for the minimum duration of the program. There are 10 offers available. • A full tuition fee waiver scholarship, for the minimum duration of program. There is one offer available. 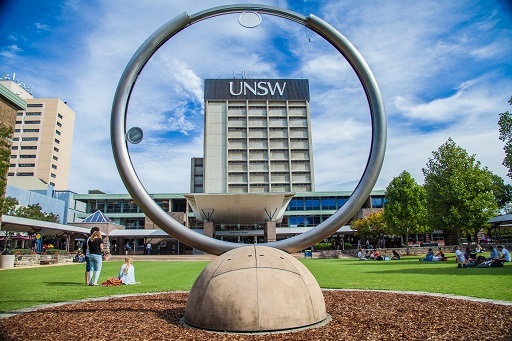 UNSW Sydney (The University of New South Wales), one of Australia's leading research and teaching universities has designed the awards to attract and support high achiever Indian minds.